I finally abandoned the search. For two hours, I had been scouring every corner of the rushing creek, feelings of pure joy and race-ecstasy from our stellar race to that point dissolving into frustrated disappointment and growing tides of despair. Not long before, we had overtaken two of the top four teams in the race at the prior TA. We were moving well, and our spirits were soaring. But CP 38, a point many if not most struggled with, eluded us. For those two evolving hours, I walked up and down the creek, hundreds of meters in each direction from the location where we first arrived. I climbed on every rock feature I could see (the clue, “Rock Point”, suggested that we look for a rocky point or feature in the creek, a logical assumption considering the use of the clue “point” during the paddle leg which described a point of land or such in a body of water). The clue did not tell us which side of the creek the feature was on, and the plot seemed to be virtually on the water. No matter, I searched both sides. I waded up the center of the creek, I crawled under rhododendron above and on rock features, I felt like I shined my headlamp everywhere possible. We were all demoralized as the minutes turned to hours and the sun rose. I took one final pass up the creek with the help of daylight, but we still didn’t find the point. Had we found the CP, considering what came afterwards and considering all that we lost in those two hours, I have no doubt in my mind that we would have finished the full course which would have secured us a spot on the podium. Who knows how high we could have climbed. Highs and lows, emotional swings, a relatively-speaking near-perfect race derailed through what felt at the time, and unfortunately still does, like a cruel twist of fate, luck, whatever you’d like to call it. USARA Nationals was one hell of a weekend for Rootstock Racing in so many amazing ways, and our collective experiences encapsulate everything amazing about Adventure Racing. The result on paper for Rootstock Racing 2 was disappointing, but it sure did make for one hell of a memory for my 100th race. Nationals marked the culmination of what turned out be the best season I have been part of in 12 years of adventure racing. The team raced in thirteen events including the World Championship, the OMM in Iceland, and the National Championship. Collectively we finished on the podium ten times, winning our division at a minimum in nine of those races. 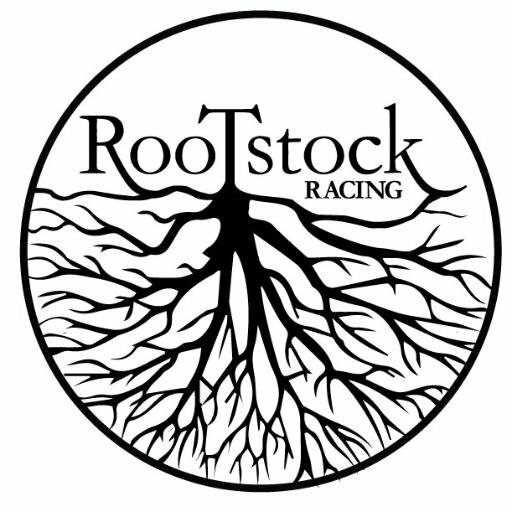 Frankly, I don’t think I fully appreciated how special of a year it was for Rootstock Racing. Long before Nationals approached, Abby and I began discussing and at times agonizing a bit about the rosters for our two Nationals squads. While we are happy to, and do once in a while, race apart, we almost never split up when we are both racing in the same race unless we aren’t really fielding a full Rootstock Team. As the season began to wind down, the picture began to clarify: while not a goal of ours, we found ourselves in striking distance of overtaking the leaders in the national rankings point series. Though not a top priority this proved extra fodder for putting together our strongest team for Nationals. For various reasons, Jim and Brian were lined up to race together, and Abby had worked incredibly hard since last fall to evolve and grow as a racer. While already a great teammate and athlete, she truly emerged this year, and I know she was torn about this decision. To be honest, I had my own moments, but there was no question that she should race with Brian and Jim for this one. As it turned out, this decision was meant to be; as noted in earlier reports, I had some physical and mental challenges this year. While the results don’t necessarily show it, I really didn’t feel like myself for most of the season. The summer in particular was disastrous from a training and emotional standpoint, and as a result I didn’t recover well from Worlds. Add on top of this two different bugs courtesy of daycare and high schoolers, and I felt like a train wreck going into the race. By the time we headed up to the Split Rock Resort, I was glad that the pressure to perform was on the “A” team, and I was glad we had lined the teams up the way we had. It seemed the right combo was in line to race hard, take a shot at the podium, and hopefully secure the rankings as a nice bonus. Thankfully, my energy began to return the day before the race even if I couldn’t fully breathe, and regardless of some of the weirdness of not racing with Abby for this, my 100th race, I was very excited to compete with our newer teammates Joel and Nicki. Both have played integral parts in Rootstock’s success this year, both have been exceptional teammates, and I was very excited for the unique opportunity to race with Nicki considering it was her first Nationals. And while we all were expecting Abby, Brian and Jim to be the stronger team, I felt like we could surprise some folks ourselves if I held up. The race began with a paddle accompanied by an embedded foot section. When we learned about the structure of that foot section, we decided to keep the teams together for this opening segment of the course and then we figured the others would take off. At the foot section, teams were given two maps and two passports and allowed to divide. We decided we would start the paddle together, work with each other on the foot-O, and then we would part. As it turned out, Brian, Abby, and Jim didn’t pull away until we completely finished the section. We found ourselves perfectly matched, so rather than head off on their own following the foot-O, we stayed together until the TA. It was a great way to ease into the event. I have come to love races that start on the water, especially when the sections are interesting. The paddling itself was nice enough, but the minor twist of the O-Section really added to it. When we arrived at the section, Jim and Joel headed off for half the points, and Brian, Abby, and Nicki came with me. While Jim and Joel were primarily trail running, our loop had a fair bit of off-trail opportunity, and we took advantage of it. We made good time and were surprised to find ourselves waiting for several minutes before Joel and Jim arrived back. We TAed into our bike kit, packed up and headed off on our own. I felt better than I expected but not great, and Joel took lead on the majority of the pace-lining with Nicki cruising behind me. We settled in nicely and rode, picking off some short course teams and finding ourselves holding with Rootstock 1. The bike leg, roughly 100km, was a long one for a one-day race. After my last couple of expeditions however, 100km of biking felt relatively benign (thanks Itera and Worlds!). As we rolled along, we talked strategy: there was some nav on the bike, but the real crux of the race would be on the two trekking sections which would begin after nightfall. We expected a fair bit of navigation, and we felt this was our team’s time to shine. As is always true, there were faster teams and teams that were stronger bikers in particular. Rather than getting sucked into a dogfight over 30 minutes or a few places, we agreed to just focus on our team for the bike, keep it steady, and manage our bodies so that we could take advantage at the foot sections. Overall, I think our strategy worked flawlessly, and remarkably, we barely lost anything on this bike. For the first half or so we actually held our time on Rootstock and the three teams that ultimately were ahead of them. The two Checkpoint Zero teams and Dave, Britt, and Chris from Untamed New England ultimately overtook us, and several other teams were not far behind, but we were thrilled to come off the bikes within minutes of 5th place at TA2. As for the course itself, it was an interesting blend, with big technical trail loops linked together by rail trail and a bit of road. We forded the Lehigh twice with bikes on our shoulders, the first time near the start of the leg, and once near the end in the depths of night with a fairly strong current threatening to sweep us off our feet. We had some incredibly steep, brake-burning, descents, one burly hike-a-bike up to a hunting cabin, followed by a classic bike-whack up a steep, rocky mountainside. We rode through the cheery and charming town of Jim Thorpe (how have I yet to see this place? ), we explored a nice ruin or two. We talked and day-dreamed about how our teammates and family members were doing on the leading Rootstock team, and we thrilled in delight to find ourselves still holding with the leaders at the final river crossing which came a half hour or so before the second TA. Our only mistake came in the middle of the leg. A trail on the map left the road and ascended a relatively steep climb to CP20. Following that, teams rode to CP21, a manned CP and the end of the King of the Mountain biking challenge (congrats to Untamed for crushing and winning this section of the race!). When we found the trail, we took a very quick look and determined that it looked pretty nasty. We had already floated the idea of riding the paved road up to CP 21 and then backtracking to CP20, which would disqualify us from the KOM prize but which was allowed in the overall rules. After our cursory look at the trailhead we leaped to Plan B. We rolled out into the big trek only a few minutes behind that fifth place spot. Rootstock, AMK, Journey, and TanZ were all roughly 45-60 minutes ahead. I know Untamed went out on the orienteering loop first as did AMK. I’m not sure about CP0. Jim and I had talked before the race about nav decisions, and we both agreed that we thought starting on the big trek was best, figuring that the orienteering at night would be brutal. Joel, Nicki, and I also discussed that it might be nice to knock out the bigger trek first psychologically. So, off we went, focused on hopefully overtaking Untamed and CP0 but also aware that anything could happen to the teams ahead, not to mention the fact that many very good teams were also breathing down our backs. While I can’t say the trek went perfectly, our bobbles for the first five hours were minimal compared to most. We knew a few of the points would be difficult in the dark, and they proved to be exactly that, but we moved well, corrected quickly as needed, and stayed upbeat. The woods were empty, and for hours we saw no signs of anyone save for one moment around CP33 when we observed lights in the distance. As we approached CP 34, we ran into Journey, and what had already been an exciting race became even more so. An hour or so later we not only passed TanZ, but we learned they had abandoned a CP. If we had passed two of the lead teams, we had the sense we were doing very well. We took off down the trail to CP 37, the first of three points on a small trail loop along a rushing creek. Considering that teams were doing things in different order, we really didn’t know how we stood, but we knew that top 5 and perhaps top 3 was reasonable. These three points looked straight forward enough, and then we had a relatively short return to the TA. Oh, how blissful those moments were. And then things began to go wonky. It was a minor issue, but the first sign of trouble came when we crossed the road to the trailhead. We took a trail that was not the primary or mapped trail and ended up in a stream bed. Unsure about whether there was in fact a better trail, we continued along the streambed. Who knows for sure, but after piecing some things together, we are almost positive that while we were entering the loop via the stream bed, Abby, Brian and Jim were exiting above us on the trail. Had we crossed paths with them, the results for Rootstock 2 would have been very, very different. Alas, we missed them, two teams passing silently in the night. We finally ascended out to the trail after seeing some passing lights. We found ourselves with TanZ who had caught up as we floundered in the stream. Oh well, we figured. At least we filled with water. When we arrived at CP 37, we found Dave, Britt, and Chris who ultimately finished in 2nd place. We all punched the point and split up again, a degree of confusion taking over as we found ourselves on another unmapped foot trail that degraded. At some point the other teams turned back. We elected on forward motion and ended up bushwhacking a bit. We all converged again on the main creek. And then we all searched in futility for CP38. Rather than relive that agonizing experience for the 43rd time, I’ll just move on. Untamed and TanZ searched with us for a while themselves. At times we were beside each other, at others we split up. Somewhere in there, they all disappeared. We stayed and thought they had abandoned the point which made us even more determined to find it to remain full course. I know for a fact that I examined the rocks around the CP no less than 4-5 times. Many teams lost time hear, including Rootstock 1, and many commented that they only found it through luck. This one will sting and haunt me for a long time as it cost us quite a bit more than just the full course. When we finally pulled the plug and moved on, our spirits were low, maybe even crushed. Our pace was gone. We had neglected food and water for the hours in which we searched and we were now energy-deficient. The mental strain had taken a toll. We continued on, slowly making our way back to TA, picking off the final two controls of the trek before regrouping for the orienteering leg. We all knew that we had blown a special moment and opportunity, but we soldiered on. Considering the lost momentum, we played this final section relatively conservatively, perhaps more conservatively than I have ever been; I’m not one to be all that conservative, for the record. We picked off fifteen points, nailing everything perfectly and making it back to our bikes with plenty of time to ride back to the finish. Before the race, the RDs had gone out of their way to stress the final bike was harder and slower than it seemed, and considering how we had slowed down over the prior 6 hours, we decided to get back early. Unfortunately, the ride was not that bad. We came in with 70 minutes to spare, and I suspect that we could have knocked off at least 2 more points but perhaps more had we been more confident in our ability to push. When it was all said and done, we finished in 12th place coed and 15th overall. Not a bad finish by any means, but considering how amazing everything was lined up for us until the end of that big trek, it will always be one of those races that got away. But, of course, AR is always about the good and the bad, and there was so much good in this one for Rootstock. We had an amazing race for the better part of 20 hours. We were holding our own with the leaders and then we started catching them. Considering that we perfectly navigated the rest of the race after CP38, I have absolutely no doubt that had we found it in timely fashion we too would have cleared the course, joining our teammates on the podium. Would have, could have, should have…yeah. But sometimes those things mean something when they reflect the potential of the race and the fact that we were on target to achieve something huge. From everyone we talked to, we know that the CP was…funny…to choose a word, and we just ended up on the wrong side of things. I don’t know how else to look at it, especially considering that we went straight to it when we first arrived. While we lost several hours looking for the point and then from the subsequent dip in morale, we held it together and recovered enough to at least keep things respectable. As always, AR never stops teaching, reminding, humbling, empowering. We may not have found much glory in our ultimate finish, but for me, at least, I found it in the journey I went through with my teammates and then through the subsequent joy celebrating the rest of our team’s accomplishments. AR is the ultimate team sport, and I don’t know that we will ever relive what we went through this weekend, warts and all. The course was physically challenging but exciting and rewarding. Up there right behind NY and the first KY course as my favorites from 10 trips to Nationals. Special shout out to our friends and AR family at GOALS ARA. They did a terrific job overall with the course and deserve all the praise for putting together a challenging, rewarding, and fun race. The community. I don’t know why, but for some reason, the exceptional AR community felt even more amazing than it already feels. The competition was fierce, and, as noted, deep, and it was amazing seeing everyone racing so hard but still smiling, chatting, and cheering each other on. I don’t think I have ever been part of a community that feels so uniquely special. For our entire team, I don’t think we ever dreamed of capping off our amazing season in the way we did. Our strong regular season set us up to win the rankings, and Abby, Brian, and Jim secured this for the team with added flair, winning the race outright by a commanding 45 minutes. Joel, Nicki and I first learned about this as we trekked back to our bikes. Fittingly, the defending champs, AMK were biking out of TA, and they told us that our teammates had won. I had more or less moved on from the frustration of CP38, but this erased all remnants of negative sentiments for me. I can’t even begin to describe how happy and proud and amazed I felt for and in my teammates, especially for Abby. To add a bit of icing to the cake, they also won the award for fastest orienteering time. While Rootstock 2 didn’t win any accolades this time out, I at least walked away knowing that one different angle of a headlamp beam and we would have been right there behind them. We weren’t, and that reality will always be there for me, but sometimes the growth, emotions, and lessons that come out of the failures in AR are worth much more than the fortune and glory. I can’t say I finished on the podium at the National Championship for my 100th race, but I am a better racer for it, and sometimes the race you compete in is more about the other people around you and the lessons learned or relearned. Your teammates and their experiences, and in this case my extended teammates and what they accomplished, sometimes are the real moral of the story. And now we head off into the fall. My season is over. I have some work to do to figure out why this year didn’t go so well for me even if it did on paper. I actually felt more like myself this weekend than I have felt all year, but I have some planning and work to do. I don’t know whether I will race one more race or 100 more, but I’m grateful to all of my teammates and the entire community of adventure racing for making me a better person. I would be remiss if I did not end my reflection on 100 without this special shout-out. As we relaxed at the post-race banquet, Tim and Anna from Rib Mountain Racing came over. We have only recently connected, but I have already come to admire them deeply as people and racers, both for their ability but more so for their character. Tim himself competed in his 100th event a few weeks back. We exchanged a few emails about this when we learned we were both hitting this significant milestone (what does it say about us that we both are the types to keep track of everything we do over a decade or more of racing?). Well, all I can say is that I will be eternally grateful for the thoughtful gift they created and bestowed upon me as we sat around the banquet tables. My weekend, already an amazing roller coaster of emotions and experiences felt complete. Thank you.